My Hero Academia is not a series I’ve had the pleasure of watching yet. While I am aware of its existence, it’s just not a series that’s interested me enough to sit down and watch it. Thankfully though, games can be a great way to introduce someone to a franchise. Super Robot Wars is a fantastic example of this at work. With that in mind, I decided to give My Hero One’s Justice a try while at Bandai Namco’s E3 booth. 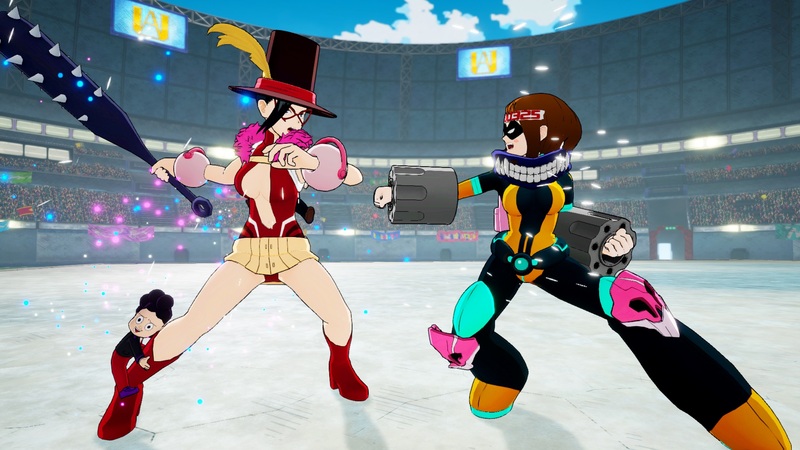 My Hero One’s Justice is a 3D-arena fighting game. The goal is simple, pick a character and use them to knock out your opponent before they finish you off. Combat is very simple but enjoyable. Your basic attacks are all mapped to one button. This means there aren’t any tricky complex button inputs to learn. In addition, you have three “Quick Specials”. As the name implies, these are quick special attacks that pack a little more punch. Finally, you also have a pair of “Plus Ultra” moves and an “EX Plus Ultra”. As the name implies, these moves are your classic super moves and they are quite flashy. Pulling these off requires pressing another button in conjunction with the appropriate Quick Special button. Since I was playing the PS4 version, this meant I’d press R1 and Circle or R1 and Triangle. Utilizing the EX Ultra Plus required pressing R1, Circle, and Triangle. As you can see, the controls are simple to learn, but mastering them will take practice of course. Especially since no hero fights alone. In addition to selecting a character to play as you’ll select two additional “sidekicks”. Any playable character can be a sidekick so feel free to mix and match to create your dream team of heroes. During the fight, you can summon your sidekicks by pressing R2 or L2. These characters essentially function as an assist. Popping in to deal some quick damage and then retreating until they are summoned again. Simple systems like these make the game accessible to just about anyone. Which for me is great since I’m terrible at fighting games. That said, a fighting game should still feel fluid and quick. After all, you’re trying to emulate a superpowered brawl here. So, how does the game feel? I played as Ochako Uraraka during my time with My Hero One’s Justice and quite enjoyed it. Her abilities and fighting style are based around zero gravity. One great example is having her pull a concrete pillar from hammerspace and effortlessly whacking your opponent with it. Another neat skill of hers involves hitting an enemy and making them float. This allows you to send the enemy into the air for a quick combo. Honestly, this was probably my favorite part in playing as her as it felt like something out of Senran Kagura with how good it felt. I like Uraraka and wouldn’t mind playing as her again. That said, let’s talk about combat for a moment. 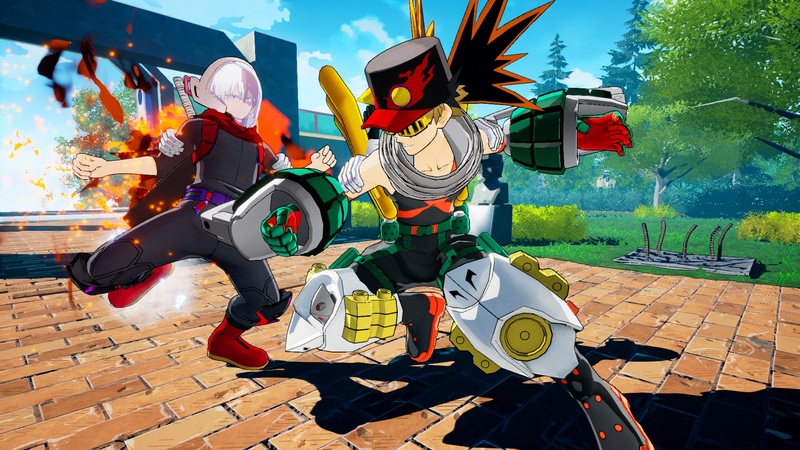 While the combat in My Hero One’s Justice is fun, it does have a few quirks of its own. For starters, since this is a 3D area you have a lot of room to fight in. However, I found it very easy to knock my opponent across the room. This led to a lot of chasing down my foe, which hampered the moment of the match. Another oddity is running up walls. Combat is not restricted to the floor. You can run up the wall and doing so will flip the camera so that the “wall” is now the new “floor”. While this is a great concept, it confused and disorientated me a little. In addition, getting the camera to flip takes a little work and felt a little random. One interesting thing of note is that the environments are destructible. I was able to knock my opponent through a wall, but once again it felt a bit random. 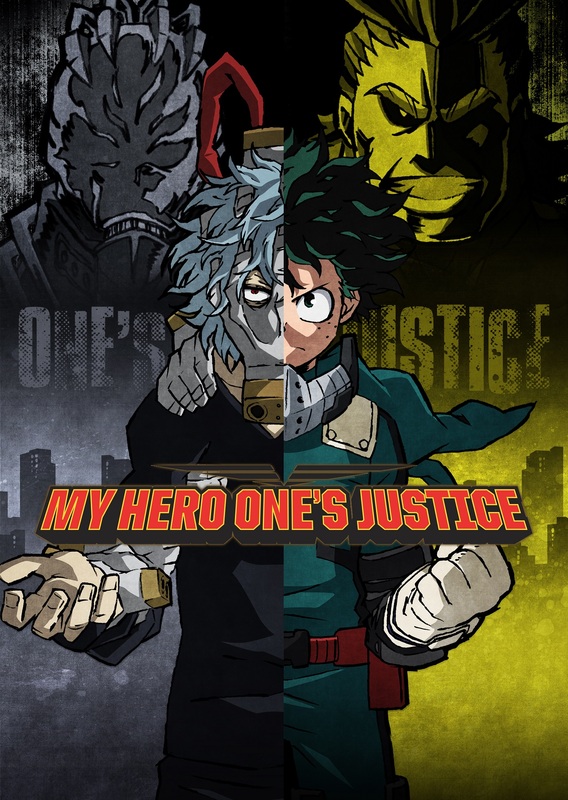 Even so, I still quite enjoyed My Hero One’s Justice. I can see this being a great game to play on the couch with friends. Plus, it can be a good way to introduce someone to the My Hero Academia franchise. While I may have only played as Uraraka, I can tell the other characters have some eccentric personalities and powers. I’m sure you can find one that fits your playstyle. The only thing I’d like out of this is for things to be a little quicker. Compared to Dragon Ball FighterZ and Jump Force, this game feels slower. While not a bad thing outright, it doesn’t make the combat feel as frantic as it could be. This is a superhero brawl after all. Still, if you’re a fan of My Hero Academia I think your beloved franchise is in good hands with Bandai Namco. As for everyone else, my recommendation here is to keep an eye on it. While there’s a lot of fighting games in the pipeline for this year, I do think My Hero One’s Justice deserves a look. My Hero One’s Justice is launching October 5, 2018, for the PlayStation 4, Xbox One, Steam, and Nintendo Switch.